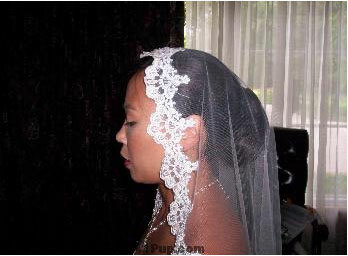 When deciding on how to wear your hair on your wedding day, take into account the shape and style of your wedding dress. 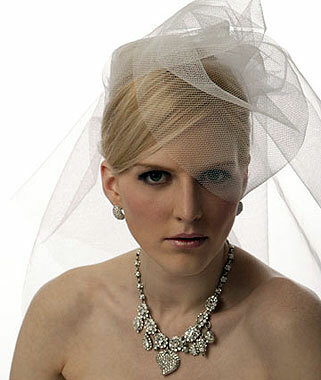 Some bridal hairstyles are more flattering for a particular type of gown. 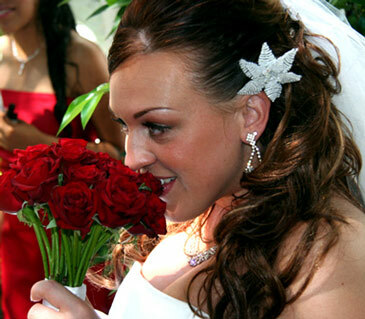 Here are some tips for choosing the right bridal hairstyle. 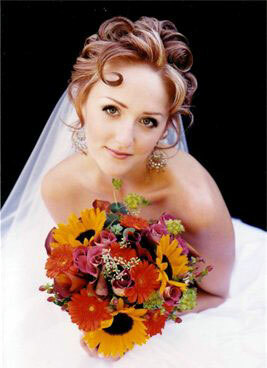 If you are wearing a strapless gown on your wedding day, considering wearing your hair down rather than up. Loose curls falling to your shoulders is a very beautiful look, even if you have to get hair extensions to make it happen. If you wear your hair up, don't make it too tight or sleek. If your wedding dress is a full at the bottom, in the case of a ball gown or A-line princess skirt, wear a tighter hairstyle to emphasize the look of your dress. Pull your hair back in a chignon at the base of your neck or in a classic, formal bun. If you are wearing a form-fitting wedding dress or sheath style, go for a bigger hairstyle with lots of volume. A high updo or any sort of "big hair" look is perfect. 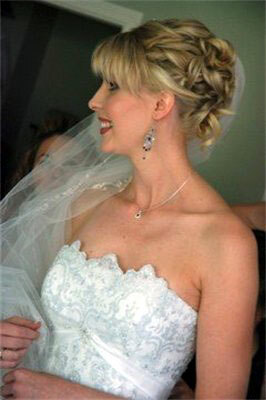 The tighter, smaller shaped dress is a nice contrast to fuller bridal hairstyles. If you are wearing a mermaid gown - one that is fitted through the body and flares out below the knee - a retro 60s hairstyle is a great look. Hair piled high on the head in beehive with a fringe of bangs sideswept across the forehead or any other style that invokes that 60s feeling will be the perfect complement to a mermaid shaped gown. Whatever hairstyle you choose on your wedding day.. In difficult cases, research hair transplant cost to see if a hair restoration procedure is the right option for you.